Following owner as he or she moves around the home. 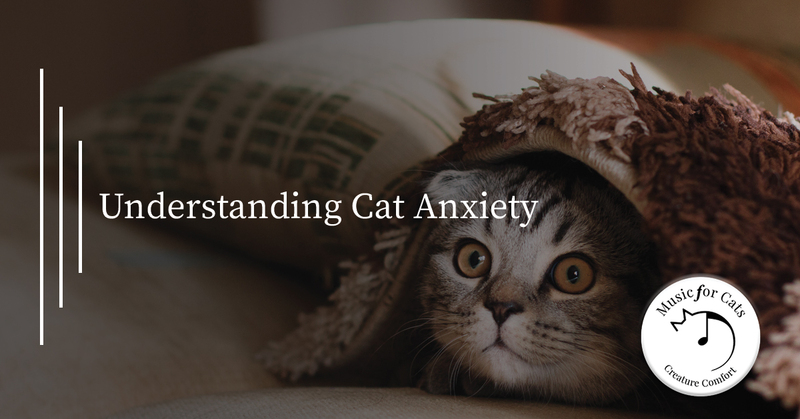 Cats can get anxiety about many of the same things humans can. Their psychological states, physical factors, and even the environment they live in can contribute to their discomfort. However, cats that have been rehomed or abused are much more likely to have anxiety than cats who have grown up in a constant, loving home. In fact, cats that were not well-socialized as kittens might have a higher chance of anxiety. Kittens must be in many different types of social situations and new places before they reach 14-weeks-old. Isolated kittens might be less social and more scared and skittish once they reach adulthood. Genetics may also have a role to play. Wild cats that are caught, neutered, and then returned to the wild are typically the most social. This might be because only the aggressive members of the species are the ones that can successfully reproduce, which might lead to kittens exhibiting more anxious behaviors. Not all cats have anxiety because of their environment. Many of them feel this anxiety if they are separated from either their owner or a companion animal that they have bonded with. Signs of separation anxiety usually include destructive behavior when the owner is gone. They may also follow their owner around the home, or greet their owner in a very enthusiastic way when arriving back at home. Any cats that have a history of being abandoned or rehomed are particularly likely to experience this type of anxiety. The severity of the cat’s anxiety will determine the proper steps to take. Of course, you can always talk to your veterinarian. They can physically examine your cat to make sure that he or she is healthy, and that the symptoms shown aren’t a result of a physical illness. Some vets will prescribe medication, but there are other options to consider as well. You can change your environment and your routine to help your cat’s anxiety. Adding distracting toys, such as puzzle feeders or robotic mice can help. Simply place these toys out in your home upon your departure and put them away once you get home. Also, adding cat trees or boxes for your cat to play in will help keep the cat active and engaged until you come back home. While it may seem like a strange solution, it is a very real one. Until now, all music that has been made in the history of the world has been for humans. Now, we have studied the sounds that cats respond most to and have created soothing music tuned to their preferences. Many cats all over the globe have used Music for Cats as a natural calming for cats. If you would like to try our CD and see how your cat responds, please order online today.